All your favourite Nestlé chocolate brands in a treat sized-form. 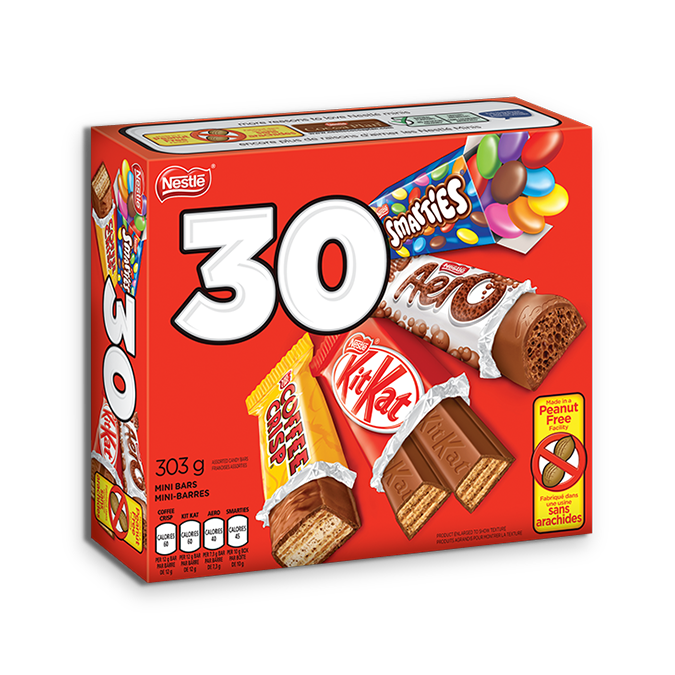 Contains: KIT KAT, AERO, SMARTIES, and COFFEE CRISP.
. Colour mix may vary.